This Aug. 25, 2016, file photo shows the Scientology Cross perched atop the Church of Scientology in Los Angeles. Scientology is about to get its own television channel starting Monday, March 11, 2018. A Twitter handle, website and app for Scientology TV appeared Sunday posting updates to hype the network's availability on DIRECTV, AppleTV, Roku, fireTV, Chromecast, iTunes and Google Play. The Church of Scientology launched its own TV channel with a vow that it will be candid about every aspect of the church and its operations but isn't seeking to preach or convert. "There's a lot of talk about us. And we get it," church leader David Miscavige said in introducing the first night of programming Monday. "People are curious. Well, we want to answer your questions. Because, frankly, whatever you have heard, if you haven't heard it from us, I can assure you we're not what you expect." Founded in 1954 by science fiction writer L. Ron Hubbard, the church teaches that technology can expand the mind and help solve problems. It has about 10 million members worldwide. Scientology is an "expanding and dynamic religion and we're going to be showing you all of it," he said, from the "spiritual headquarters" in which he was standing — a Florida-based, corporate-looking building— its churches around the world and a behind- the-scenes look at its management. The channel also will explore the life and philosophy of Hubbard, whom Miscavige called "a true-to-life genius." With all that the channel intends to present, he said, "let's be clear: We're not here to preach to you, to convince you or to convert you. No. We simply want to show you." The first hour offered a slickly produced taste of the series to follow from an in-house studio, including "Meet a Scientologist," ''Destination Scientology" and the three-part "L. Ron Hubbard: In His Own Voice." The channel is available on DIRECTV, AppleTV, Roku, fireTV, Chromecast, iTunes and Google Play. Miscavige didn't directly address critics, but Scientology doesn't lack for them. 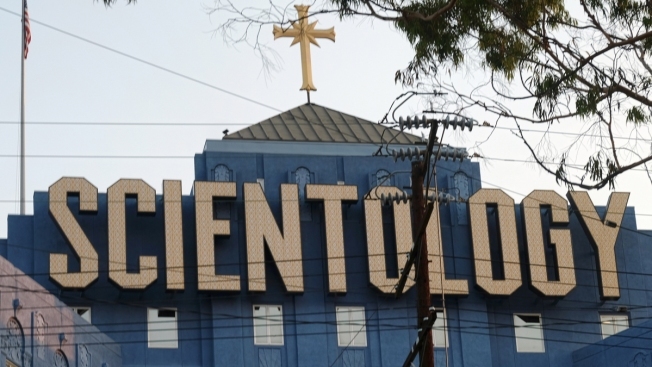 Several high-profile projects have investigated the church's alleged abuses of former members, including actress Leah Remini's A&E docuseries "Scientology and the Aftermath" and Alex Gibney's Emmy-winning documentary, "Going Clear: Scientology and the Prison of Belief." Instead, the channel's debut offered interviews with church members who touted Scientology's rewards, showed off its impressive facilities in cities including Melbourne, London, Tokyo and throughout the United States and its work with other churches and community groups. Viewers were introduced to ethnically diverse members including blue-collar workers, professionals and business owners. Miscavige noted that the church's followers include "some of the most well-known artists and celebrities in the world." He didn't name them, but Tom Cruise and Kirstie Alley are among long-time Scientologists. In one segment, members boasted of the church's technological achievements, including development of the "E-meter" that reads "mental energy" and is used by an auditor to diagnose and improve people's lives. An auditor, as explained in an on-screen caption, is "one who listens."